About Face: Use unscented soaps to wash your face. Traditional soaps can contain harsh ingredients that strip your skin of its natural moisture. Most commercial bar soaps contain sodium lauryl sulfate, which strip away these oils. retain moisture in the skins outer layers by using natural and organic ingredients. These are a good option face soap for those with sensitive skin. Unless you have very oily skin, use (Sea Kelp Varesh) soap on your face, that wont strip the skins natural oils. Organic Unsent sea kelp (a nutrient-packed species of seaweed) and green tea , detox and cleanse skin. It also makes for a wonderful mild natural exfoliate. If you have a tendency toward sensitivity or rosacea, abrasive scrubbing can irritate your skin. but the actual number depends on your skin type and what suits it best. which removes dead skin cells when rubbed over the skin when using our all natural soaps made with fresh oatmeal . Olive oil has been used in soap making for thousands of years. 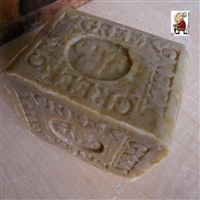 Unscented Olive oil soap is very mild, long-lasting .Great facial soap.